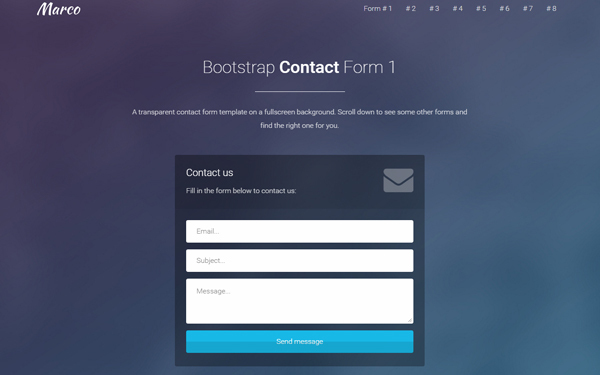 Today’s web design resource is a new Bootstrap Contact Form template made with PHP, jQuery, AJAX and, of course, HTML5 & CSS3. The template is responsive and you can use it in the contact section of your website, either by integrating it in an existing page, or as a stand-alone page. 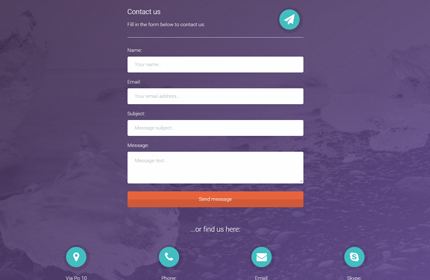 The form uses PHP and AJAX to validate and send the message to your chosen email address. It also comes with a fullscreen background and Font Awesome icons. Take a look below to find the full list of features, the live preview link and the download link. For my other free forms and templates click here. Download the zip package below and extract it. In the “contact.php” file (in assets) you can enter the email address where you want to receive the messages, or modify the error texts. The images are located in the “img” folder (assets/img). 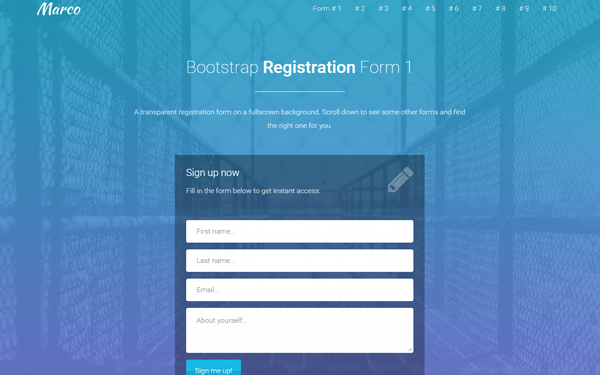 You can use this Bootstrap contact form template in personal and commercial projects, but you can’t sell or distribute it directly, “as is”. If you plan to use it, a link to this page or any form of spreading the word will be much appreciated. Mate can you also show how to add a select field. Hello, I am receiving a “405 Not Allowed” Error. Would you mind troubleshooting? I am helping a friend out with their site and PHP is certainly not my strong suit! Much appreciation for your template and thank you so much for your help!